Mariana Lameiras is Postdoctoral Fellow at UNU-EGOV. She is also Researcher at the Communication and Society Research Centre (CSRC) of the University of Minho (Braga, Portugal). Her research interests are focused on Political Economy of Media, (Media) Regulation, Electronic Governance, and Digital Government. More recently, she is dedicated to e-Participation, specifically focusing on the intersection between digital media and technologies, public policy and civic engagement. 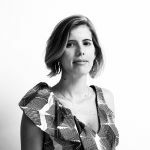 Her PhD is in the area of Political Economy of Communication and Media Regulation, particularly focusing on state media regulatory bodies and power relationships in Portugal since the establishment of the democratic regime. Lameiras, Mariana and Sousa, Helena, “Portugal: políticas de transparencia y reforma de los medios públicos” in Austeridad y clientelismo: Política audiovisual en España en el contexto mediterráneo y de la crisis financiera, ed. Fernández Alonso, Isabel ( Barcelona: Editorial Gedisa,2017), 51-68. Ben Dhaou, Soumaya, Lameiras, Mariana, Soares, Delfina and Rohman, Ibrahim, Bridging between Policy-Making and Academic Research: A Within-Case Analysis of the International Rankings for Justice EGOV-CeDEM-ePart 2018, Krems, 2018/09/03-05. Lameiras, Mariana, Silva, Tiago and Tavares, António, An Empirical Analysis of Social Media Usage by Local Governments in Portugal 11th International Conference on Theory and Practice of Electronic Governance (ICEGOV2018), Galway, 2018/04/04-06. Lameiras, Mariana, Characteristics of Media Governance 10th International Conference on Theory and Practice of Electronic Governance (ICEGOV2017), New Delhi, 2017/03/07-09.